Does Your Family Need an Elder Care Mediator? Growing older means significant changes and transitions for seniors and their families. Occasionally these transitions can bring times of conflict. In a recent study, it was determined that nearly 40 percent of adult children acting as caregivers had serious conflicts with one or more siblings regarding the care of their parents. Other studies show that the source of frustration lies between the children and their parents. In certain cases, arguments can become so severe that it breaks families apart. 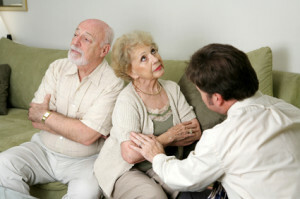 To avoid such a tragedy, some families turn to elder mediation. Elder mediation is a specialized field of mediation that focuses on conflicts that occur in the context of aging. During family discussions, elder mediators act as a neutral, unbiased third party. Many times problems can be avoided with proper communication, which elder mediators help promote. Elder mediation advocates for mutual respect and encourages concerned parties to understand everyone else’s thoughts and feelings. 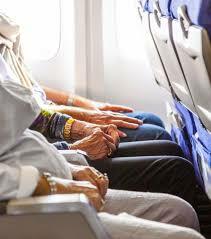 Elder mediators have been trained to recognize the effects of aging on seniors and their families and provide a non-threatening environment that is conducive to problem solving. Resolutions can be reached without tension, division, or the need for litigation. In extreme cases, working with an elder mediator may be the best solution. For seniors who live at home with the help of an in-home caregiver, perhaps the caregiver could act as a mediator when familial problems arise. An integral part of mediation is good communication, which is made easy with a sophisticated homecare system or homecare software like ClearCare Online. 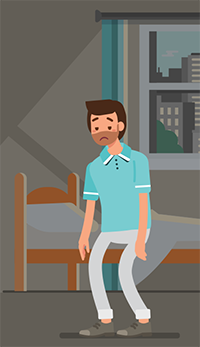 Many problems that erupt in families are avoided when a qualified caregiver is hired. This gives families a chance to reconnect with their spouses and children, or get back to their secular careers. With a dependable homecare system or homecare software, real-time updates are visible through a secure online portal. This also helps keep everyone on the same page regarding their loved one’s care. Caregivers are required to clock in using a sophisticated telephony system, which notifies agency administrators and family members via their homecare software. ClearCare Online’s homecare system also pairs caregivers to clients with an intuitive matching system. You can rest assured that your relatives will be assigned an appropriately trained caregiver who will also mesh with your loved one’s personality and interests. For more details on how ClearCare Online’s homecare system and homecare software could benefit your family and save you the trouble of hiring an elder mediator, call 1-800-449-0645.